Fires well, though is painfully uncomfortable to use. 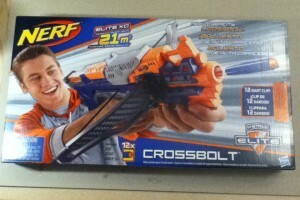 Everything out of the Crossbolt box. 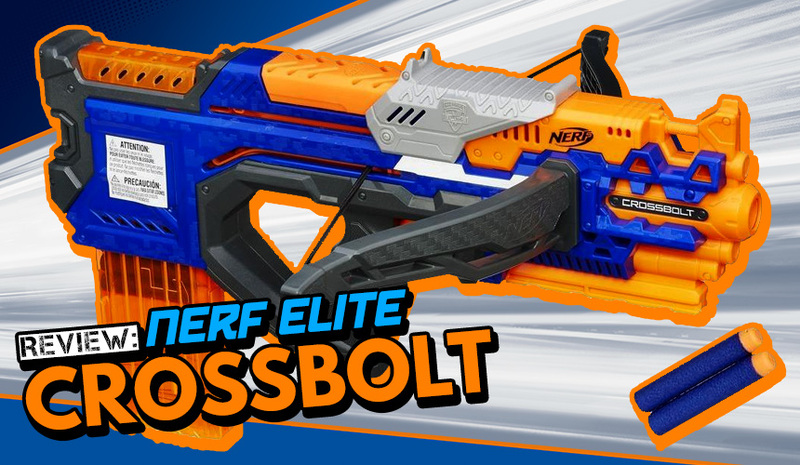 The Crossbolt is one of the more unusual and more interesting blasters released in 2015. 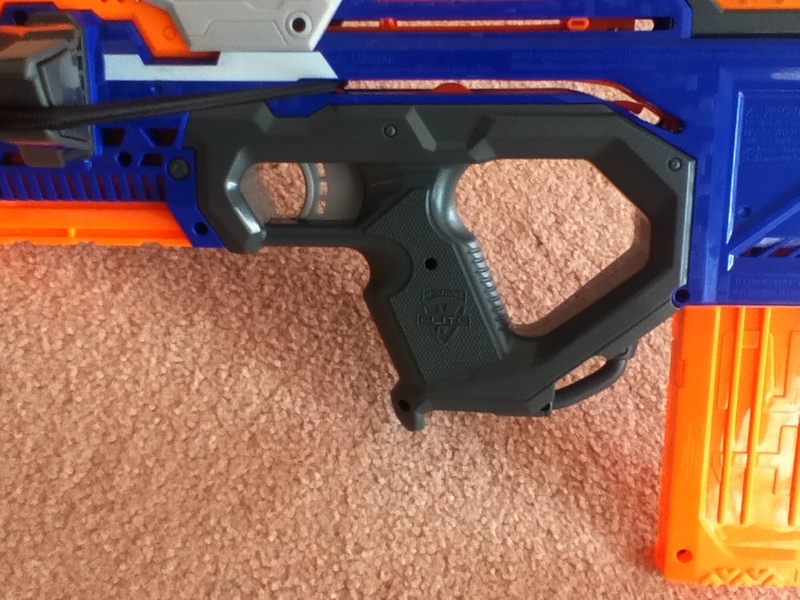 It’s a bullpup clip (mag) blaster, which hasen’t happened since the 2012 Rayven (and its repaints), but more importantly is a stringer clip (mag) blaster, which is a first. 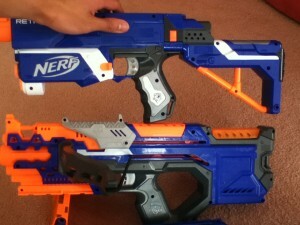 How does it compare to its more conventional springer and flywheeler cousins? Cardboard tray out of the box. 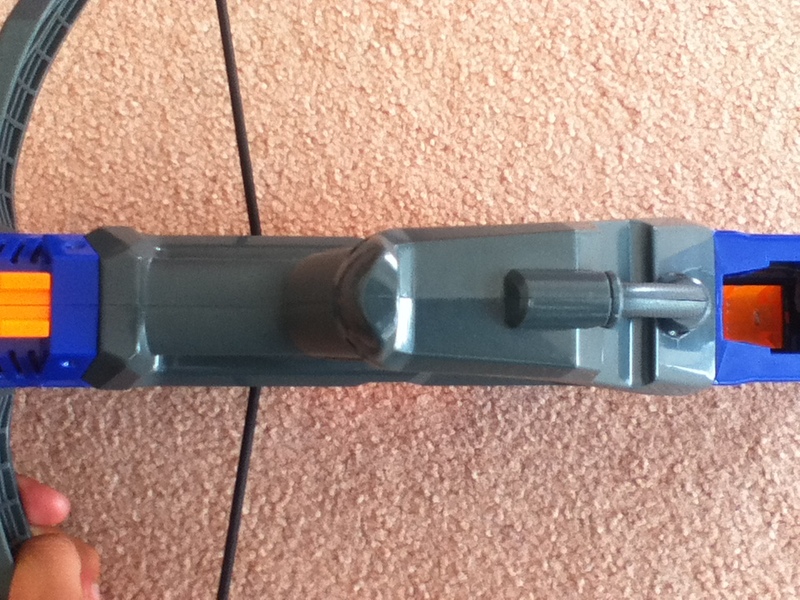 Bow arm with arm slot. Bow arm mostly in, not yet locked in place. 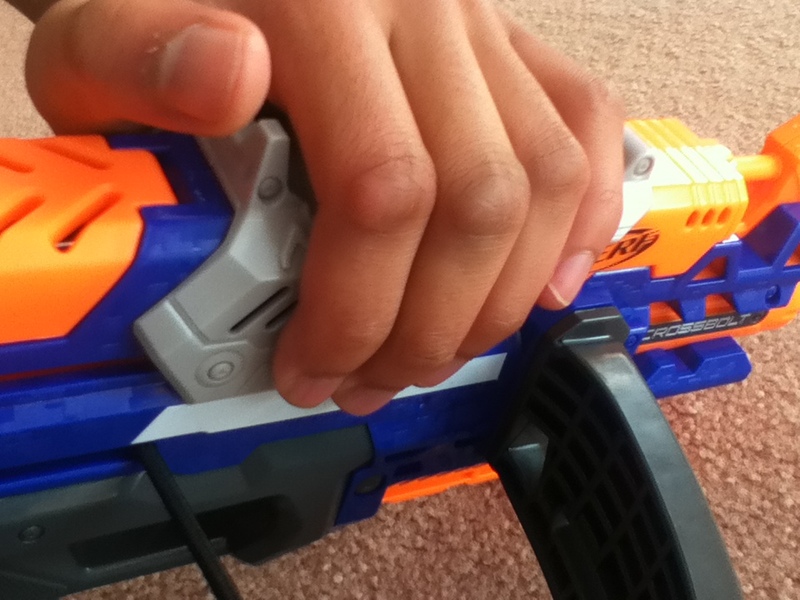 Bow arm locked in place. 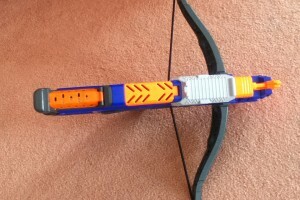 Firstly out of box, the bow arms have to be attached to the Crossbolt body. 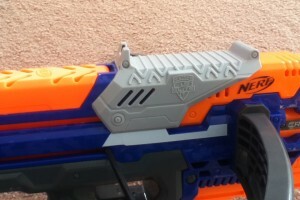 It’s a simple matter of aligning the arms with the slots up the front of the Crossbolt and shoving them in until they lock in. 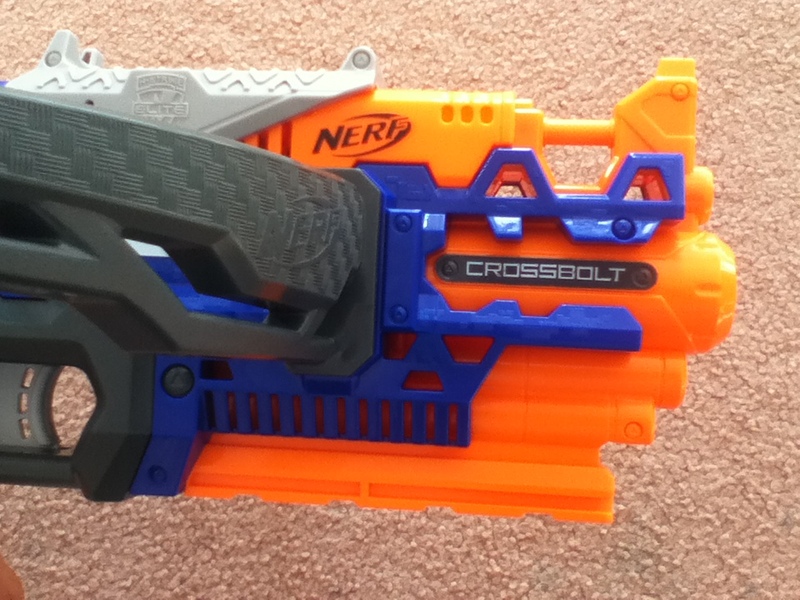 The Crossbolt is an interesting looking piece. It combines bow arms with a modern/sci-fi body. 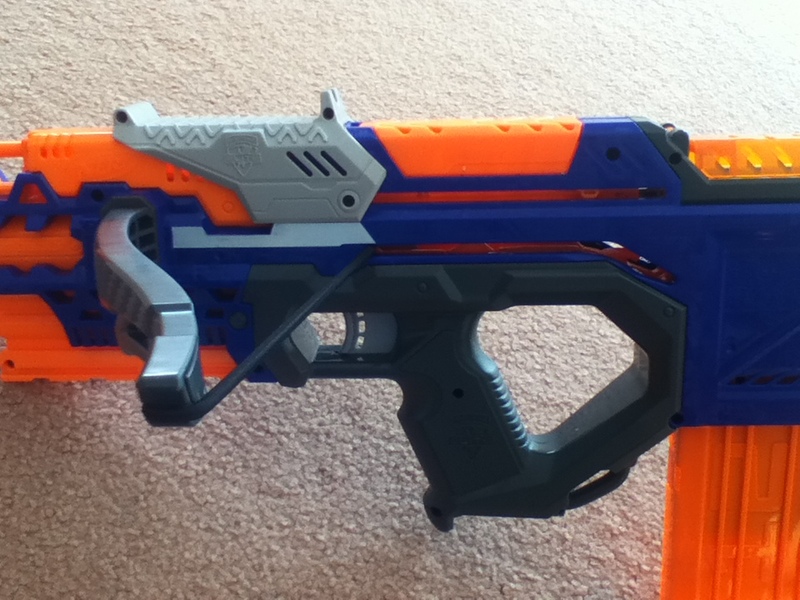 Without the bow arms it’s quite a good looking blaster, and I could easily see it being repainted for a sci-fi prop. 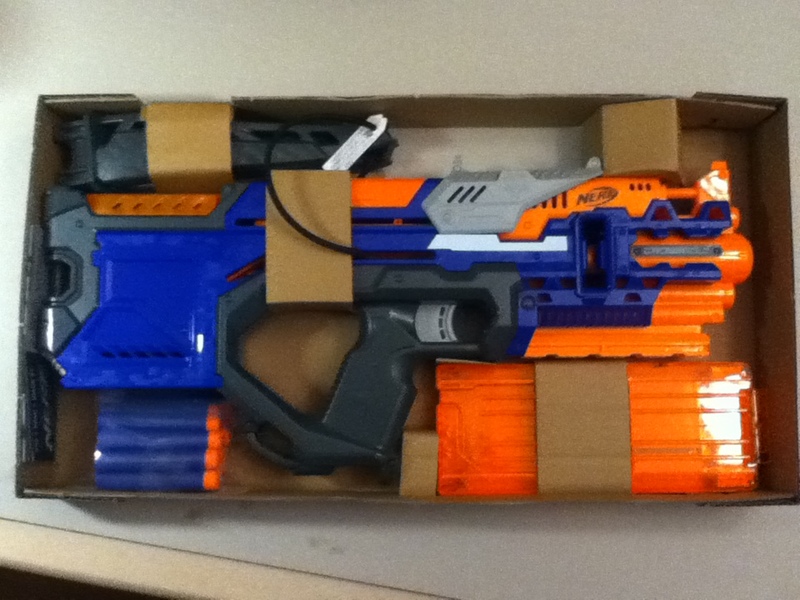 With the bow arms I feel that it looks a bit mixed up, though certainly not the worst looking mashup blaster (*cough* Thunderblast *cough*). The Crossbolt has just the sole tac rail on the fore end, which is perhaps the only appropriate tac rail spot. 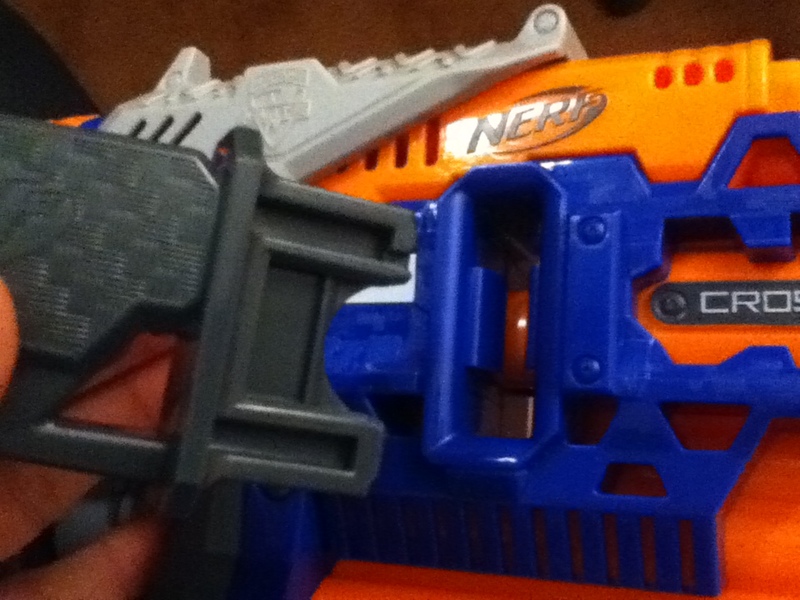 The bow arms do give it substantial width, which may be awkard to handle compared to most blasters. 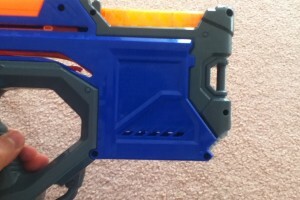 Front end of the blaster. 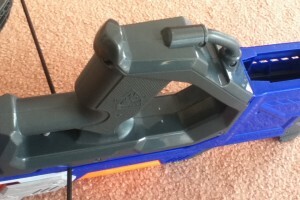 There are 3 sling points – one on top above the muzzle, one on bottom just behind the handle, and one on the back of the stock. 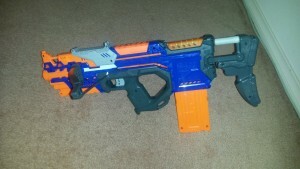 There’s also a lone tactical rail on the bottom of the fore-end. Close up of the offending edges. 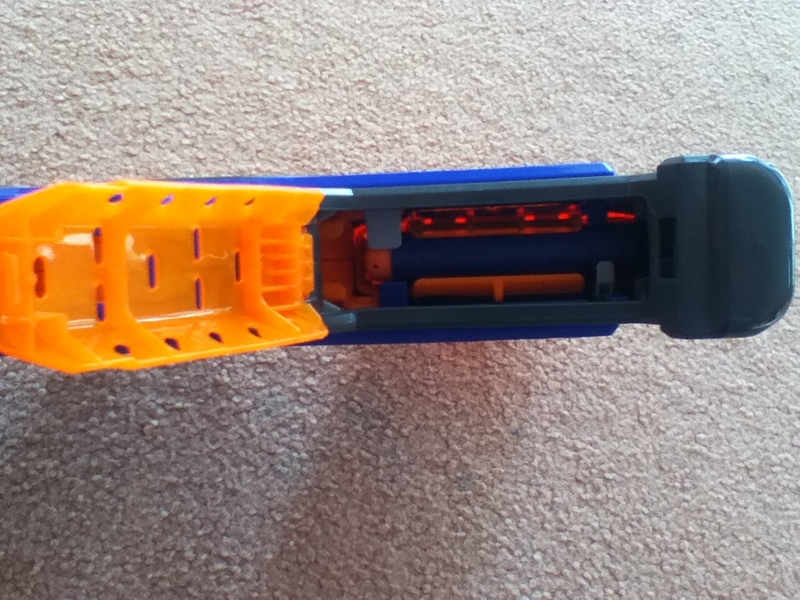 The Crossbolt uses a top slide for priming and chambering of darts. 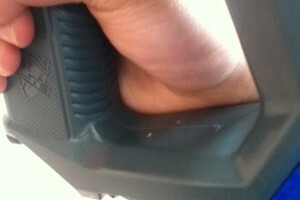 Though this allows it to be quite compact and short, it also presents the first of a number of ergonomic issues. 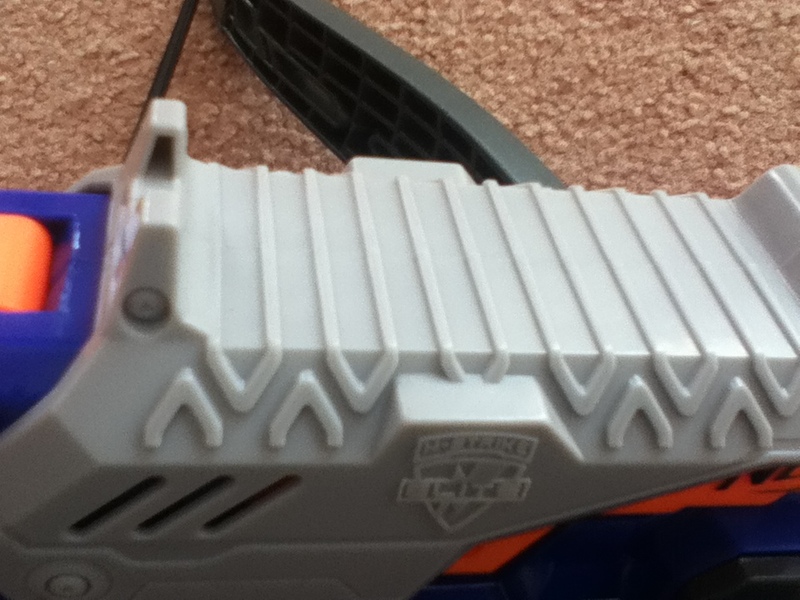 The edges of the slide are quite sharp, especially the plateaus for the embossed Elite logos. This makes the slide rather uncomfortable to repeatedly and continuously cycle. 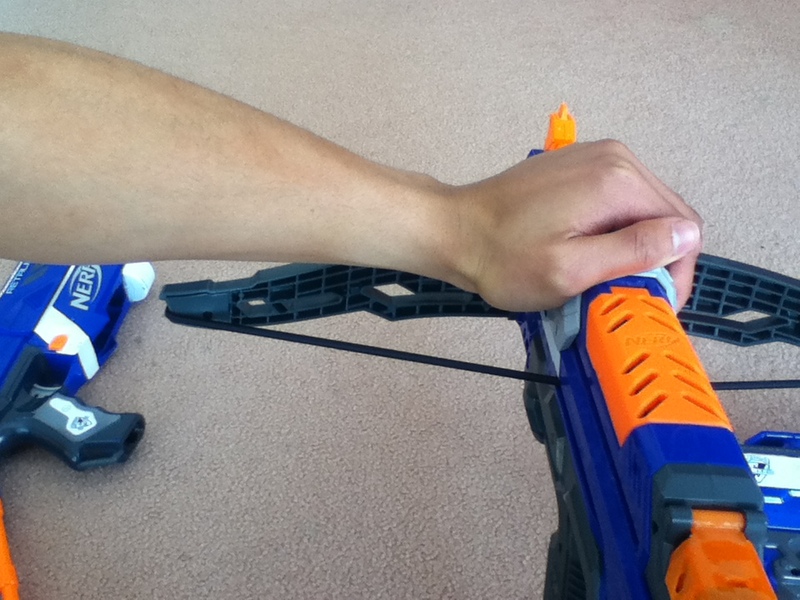 Bow cord rubbing against my arm. 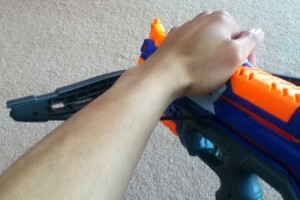 The other major ergonomic issue with having a top slide is the bow arms and the cord – my natural arm position when cycling a top slide results in the cord brushing along the bottom of my arm. 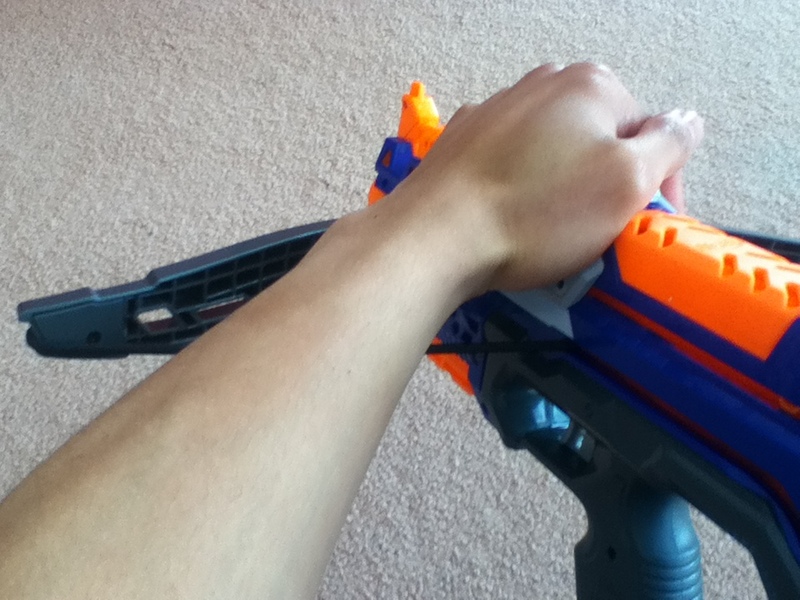 The arm position I’ve had to adopt to not scrape it against the cord involves holding my elbow very high up, which is naturally rather awkward. 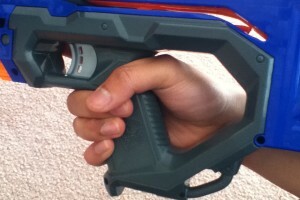 Close up of the tight squeeze of the thumbhole stock. 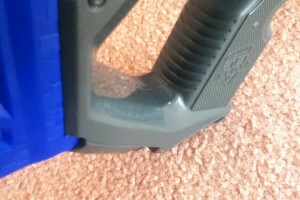 Rear view of the thumbhole stock hole. 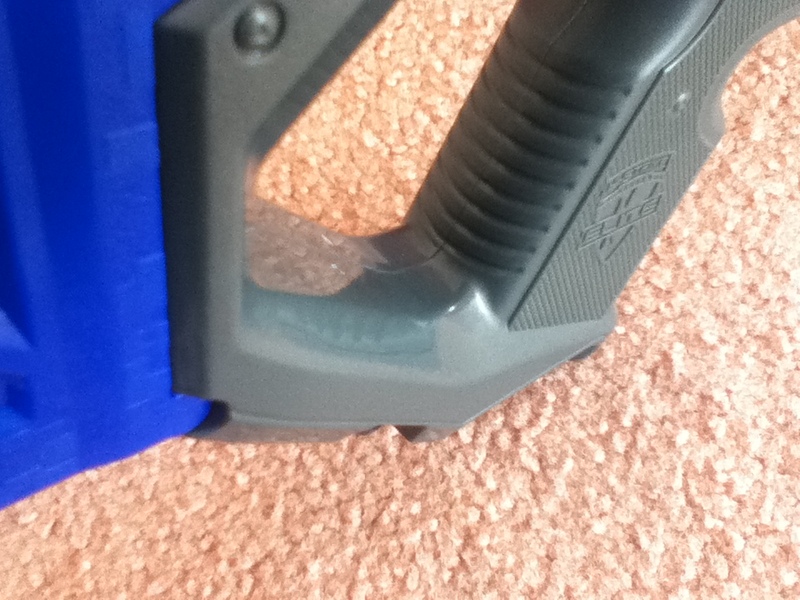 Looking at the offensive area of the thumbhole stock. 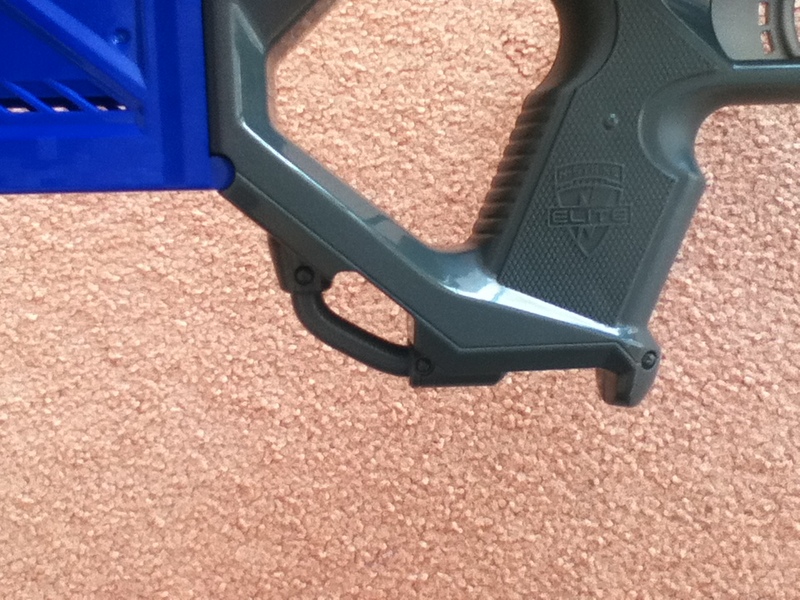 Bottom view of the handle/thumbhole stock. 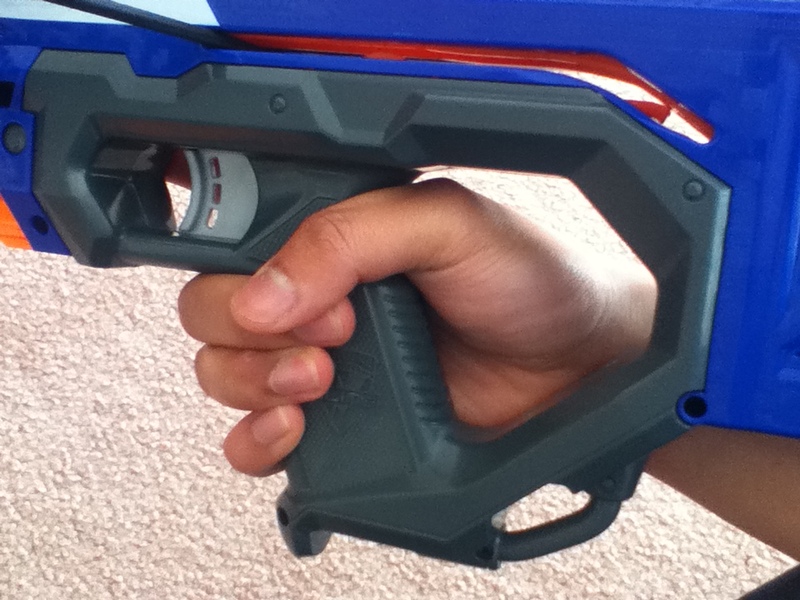 The handle and thumbhole stock present another significant ergonomic issue. 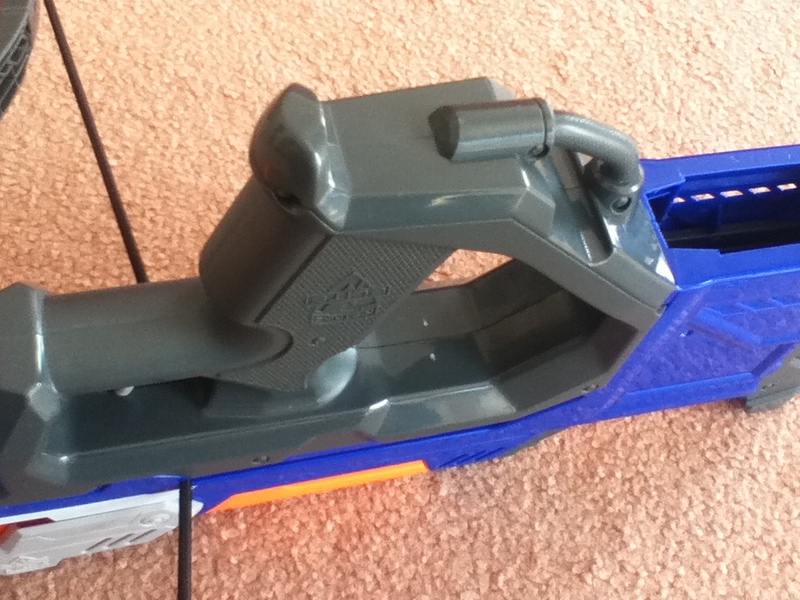 The handle is decently designed, but the thumbhole stock design is very poor. 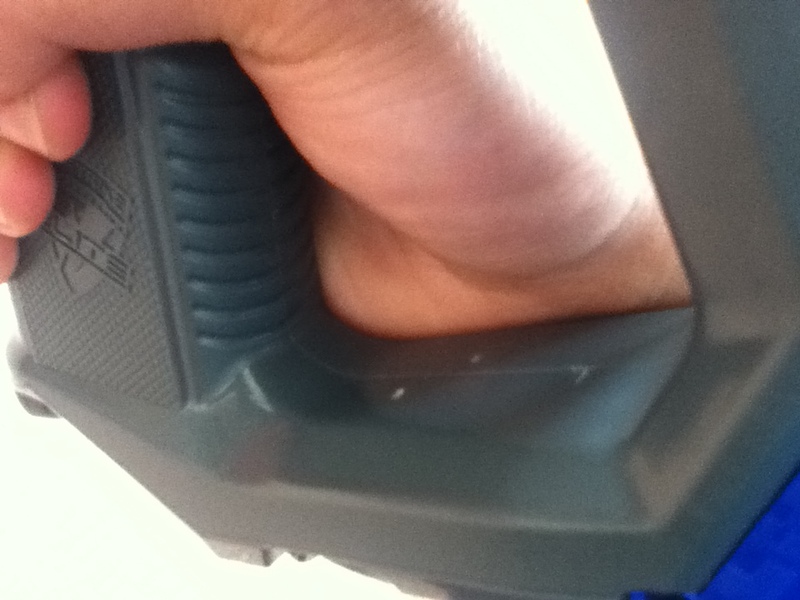 The support beam on the bottom is annoyingly wide and cuts into your hand when naturally holding the handle. Even after a short time of holding it, the far edge of my hand was already starting to really feel it. 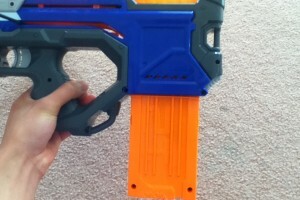 A look at the magwell/stock. 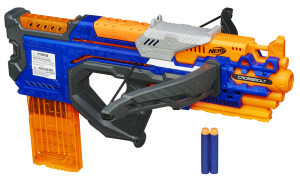 The Crossbolt is a bullpup blaster, so its magwell is in its stock. 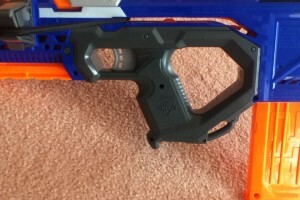 Though the first bullpup clip (mag) blaster, the Rayven, had a fairly well designed stock magwell, the Crossbolt’s stock is very, very small. 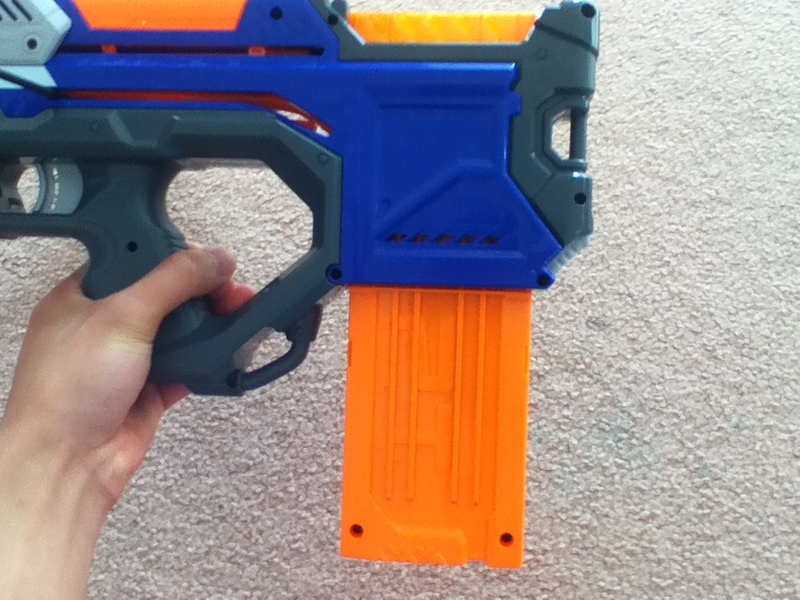 While it works fairly well as a magwell, it doesn’t do very well at anything else. 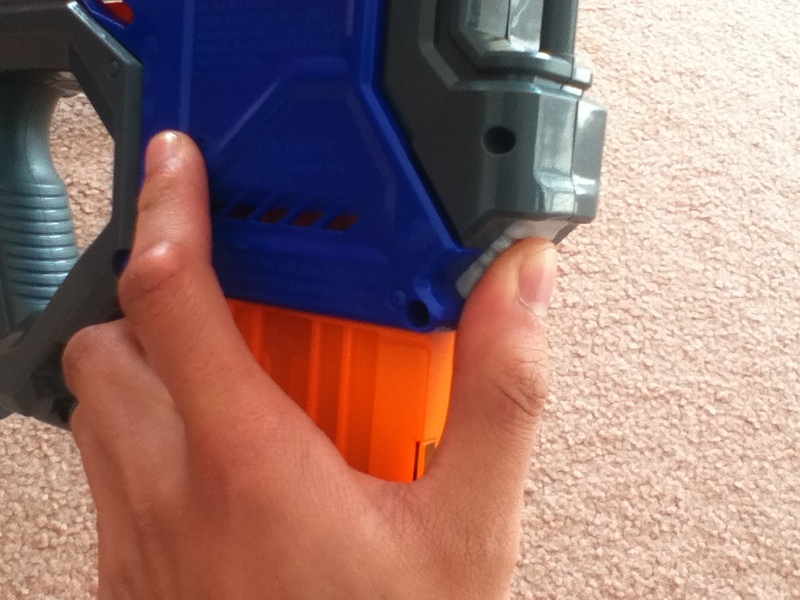 The mag release button is not the best design, and I find that I have to push off against the button with my thumb to get the clip (mag) out effectively. Further below are some pictures demonstrating just how small the stock is. 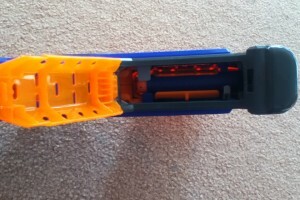 Unlike with springer clip (mag) system blasters, you can switch clips in the Crossbolt at any time, though switching it while the slide is back is not ideal and may not feed properly on the first dart. 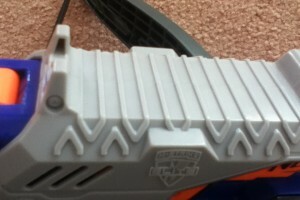 Top view of the jam doors. 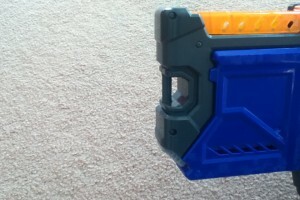 Close-up of the rear jam door with a clip (mag) loaded. 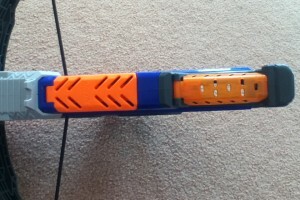 The Crossbolt has two jam doors to expose the two main internal areas. 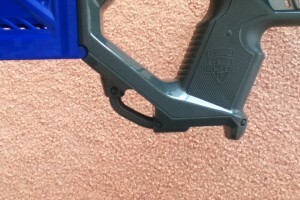 The rear one above the magwell is as standard for a clip (mag) system blaster, and can be opened at any time. 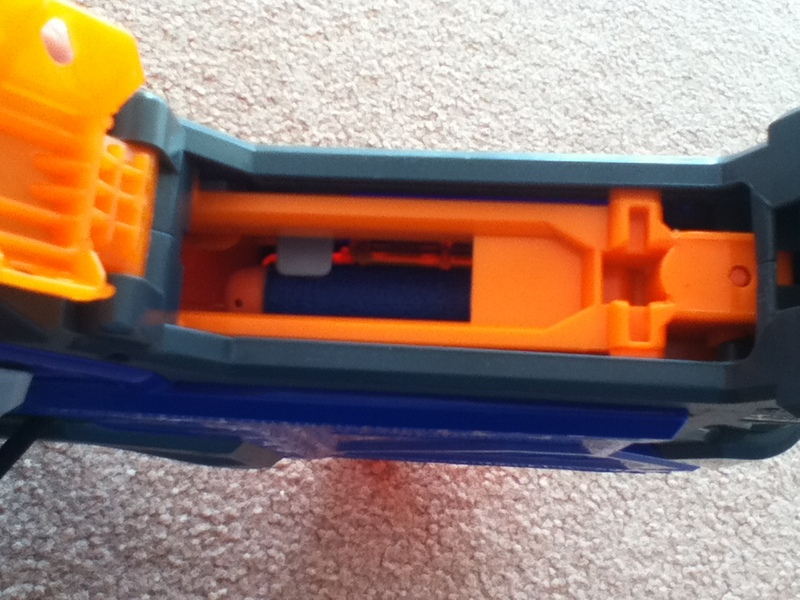 The one in front exposes the chamber itself, and can only be opened when the slide is forward. 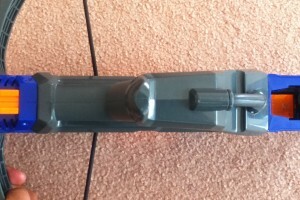 Annoyingly, this forward jam door is actually very difficult to use and it is much easier to clear jams by using the cord itself to push out the jammed dart(s). 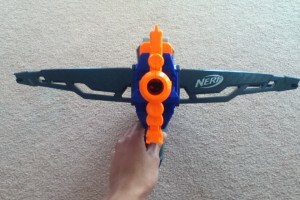 Rest position of the Crossbolt. 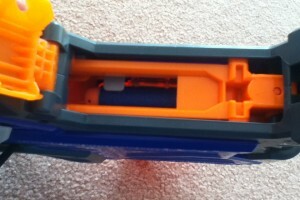 A look at the chambering system. 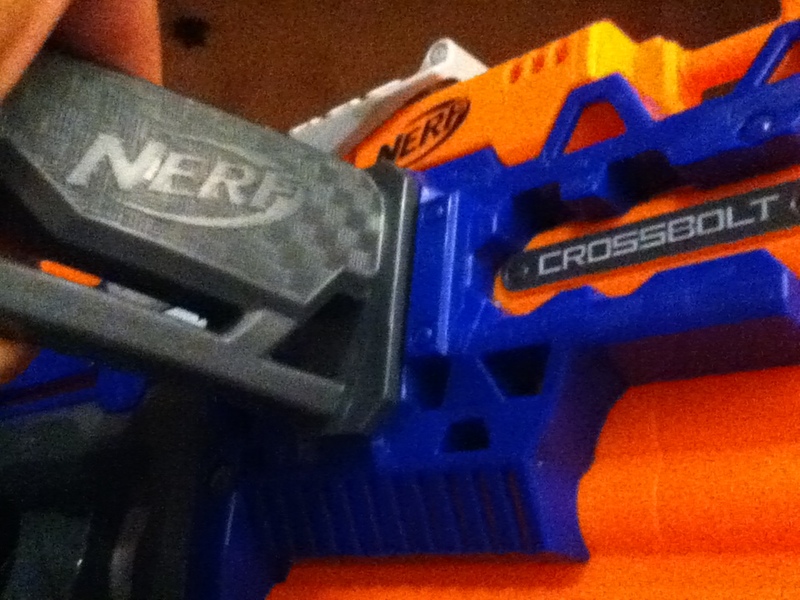 The Crossbolt cycles the same way as most clip (mag) system blasters. 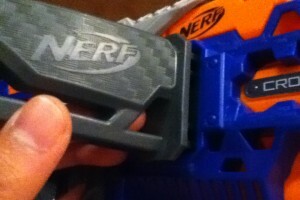 Pull the slide back to get ready to chamber the next dart and prime the blaster (in this case stretch and catch the cord). Pushing the slide forward chambers the dart, then of course pull the trigger to fire and repeat. 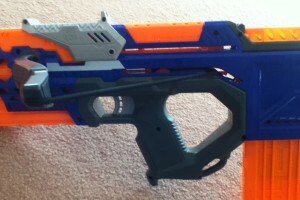 The draw on the Crossbolt is quite long, longer than most springers. 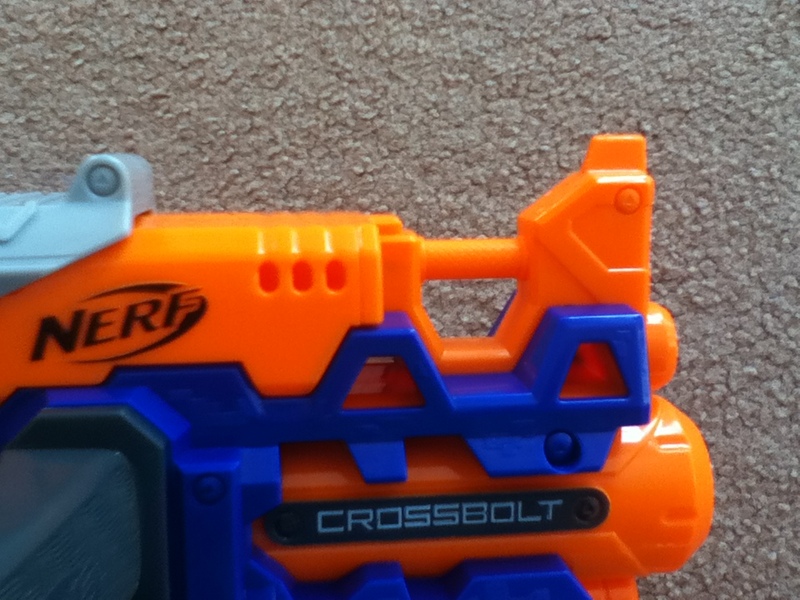 Crossbolt next to E.Rayven, Retal. Here’s some pics to show how ridiculously short the Crossbolt stock is – it’s comparable to the Retaliator stock, which is the shortest detachable stock (and about the same as a retracted Raider stock). 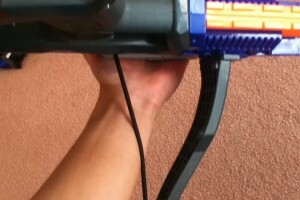 It’s almost impossible to shoulder, and quite uncomfortable. 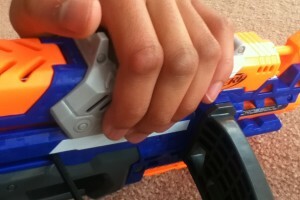 Overall the Crossbolt is a complete ergonomic disaster – everything that you hold or shoulder feels awful. 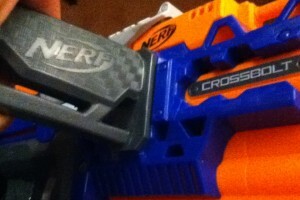 FPS shot of the Crossbolt. 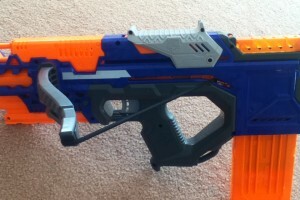 The Crossbolt achieves impressive range for a grey trigger blaster. 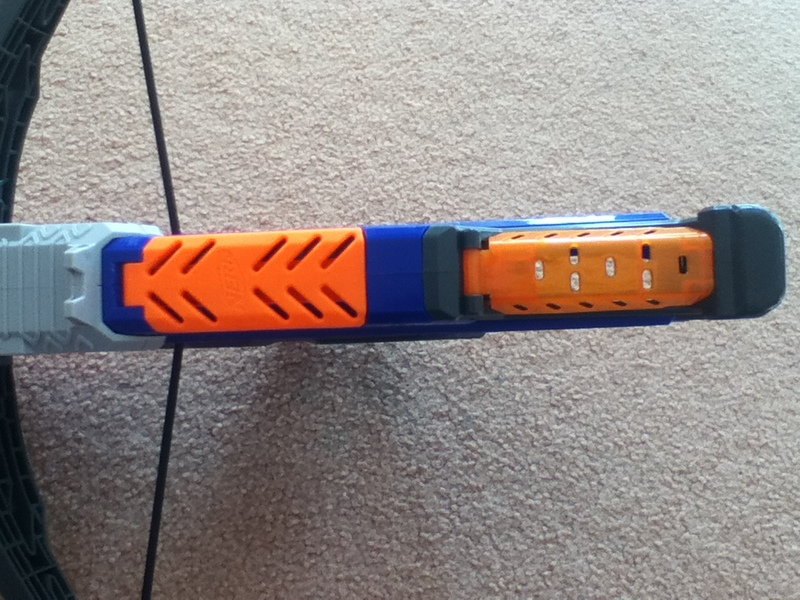 I was achieving 13-14 metre ranges with good quality Elites. It’s also quite consistent, depending on how good quality the darts are. 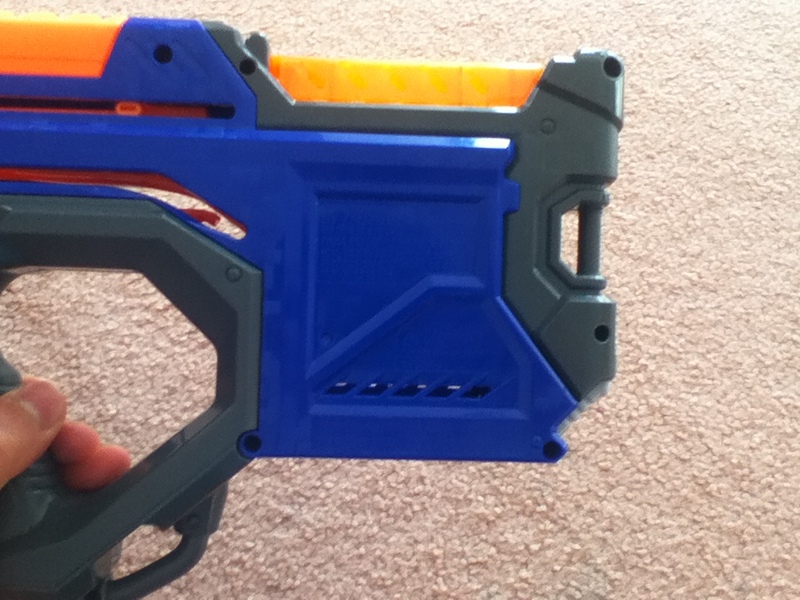 Accuracy is very impressive for an Elite blaster using Elite darts. 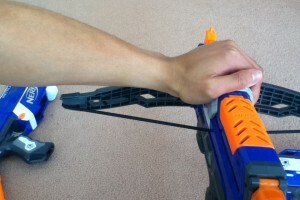 I was getting very tight groupings of around 0.5m at full range. 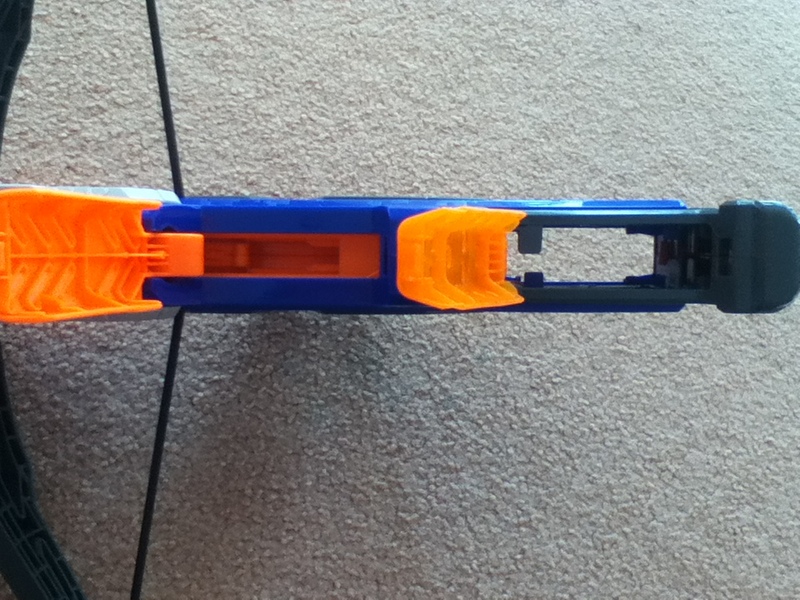 At 8-9m, a hit on a human sized target is pretty much guaranteed, and even at 10-11m is not difficult. 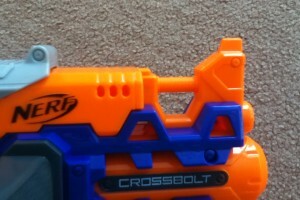 Rate of fire is the Crossbolt’s downfall. 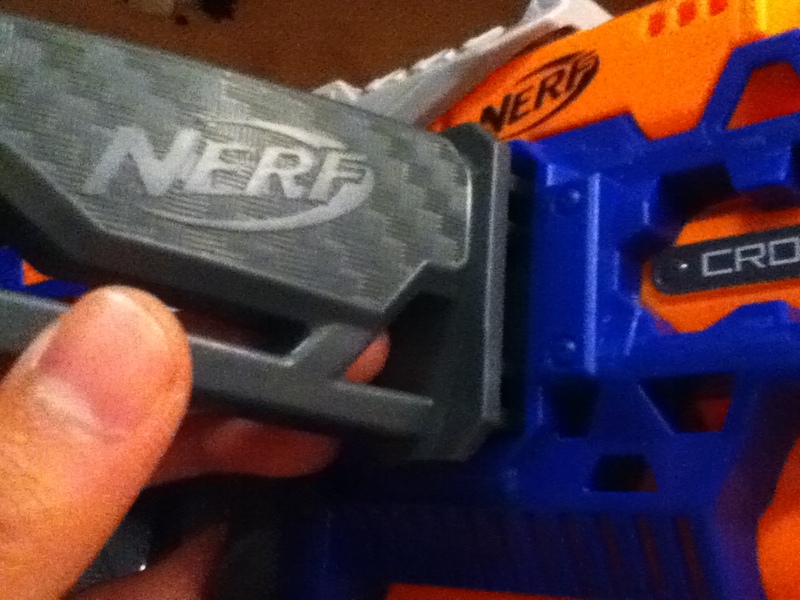 In particular, the uncomfortable slide and its long draw, coupled with the various locks really get in the way. 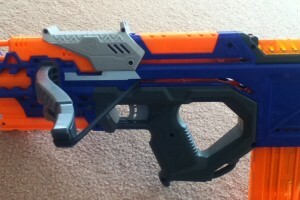 The best I could achieve was ~1.5 darts per second before the Crossbolt started locking up. There is one important thing to note however. 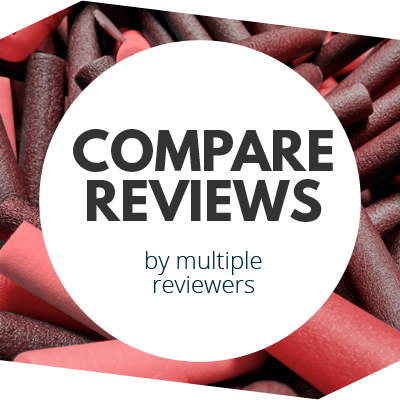 These performances are all done with practically new darts, as usual for reviews. 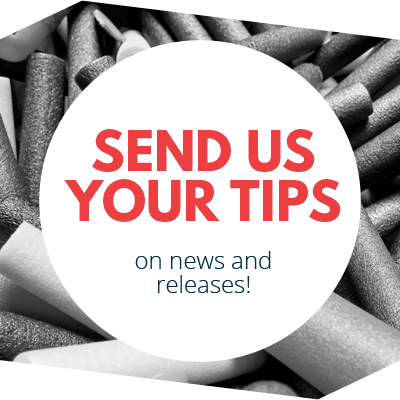 As is well known, used and worn out darts tend to reduce ranges and detract from accuracy. In the Crossbolt in particular, worn out darts present a major problem as accuracy and consistency are lost, ranges drop but more importantly the chance of misfires and jams increases drastically. With new/good condition darts I was seeing very few jams or misfires, but when I switched to used darts, I saw many jams and misfires. 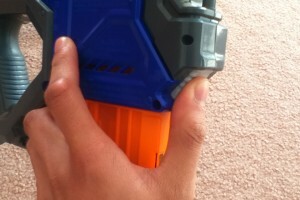 In particular, the misfires involve the cord firing past the dart, which is particularly problematic to unjam and requires removing the clip (mag) and manually pulling the cord back to de-chamber the dart. 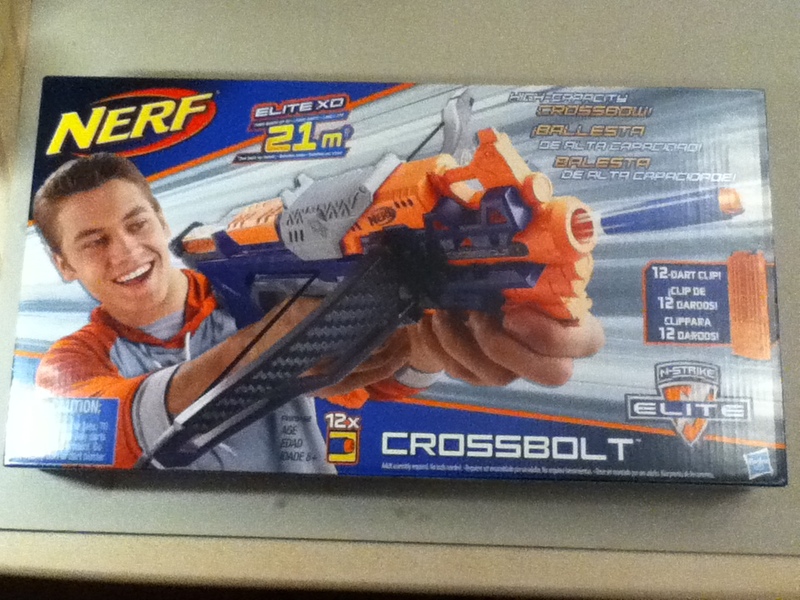 I have also experienced the Crossbolt decimating darts, though much more rarely than misfires and jams. 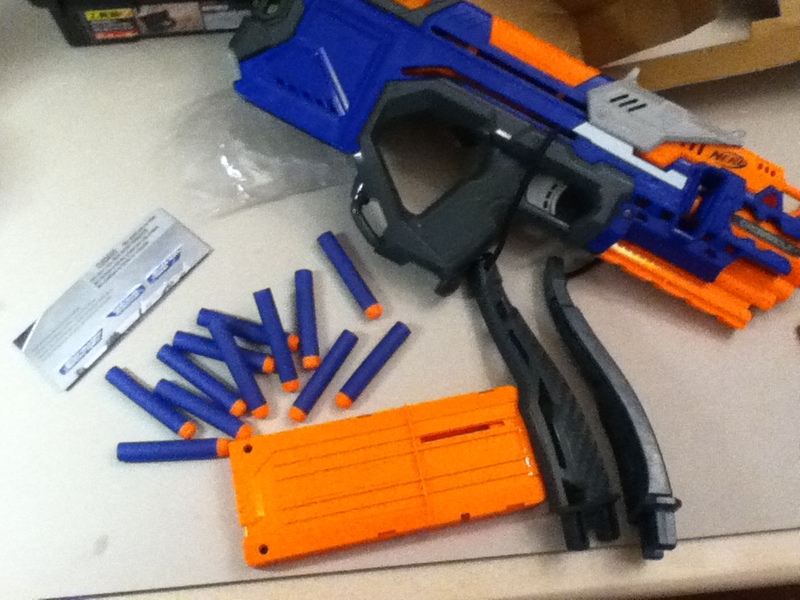 Unlike most jams where darts get bent or chomped, I was seeing darts get shredded to pieces, with some chunks even getting stuck inside the blaster. 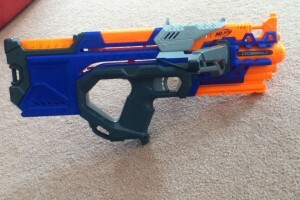 The Crossbolt performs very similarly to the Retaliator, with good range and excellent accuracy at the expense of a slow ROF. 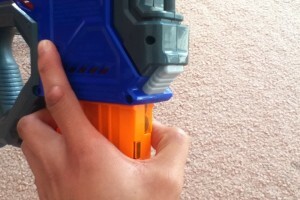 It is also notable for being very quiet, making it all round ideal for popping up, taking a pot shot or two then ducking back into cover. 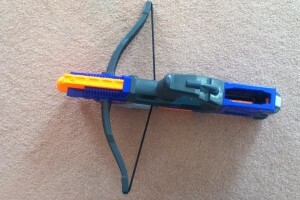 Its low ROF makes it non-ideal for rapid fire and close range, and the width from the bow arms can present an issue maneuvering in close quarters. 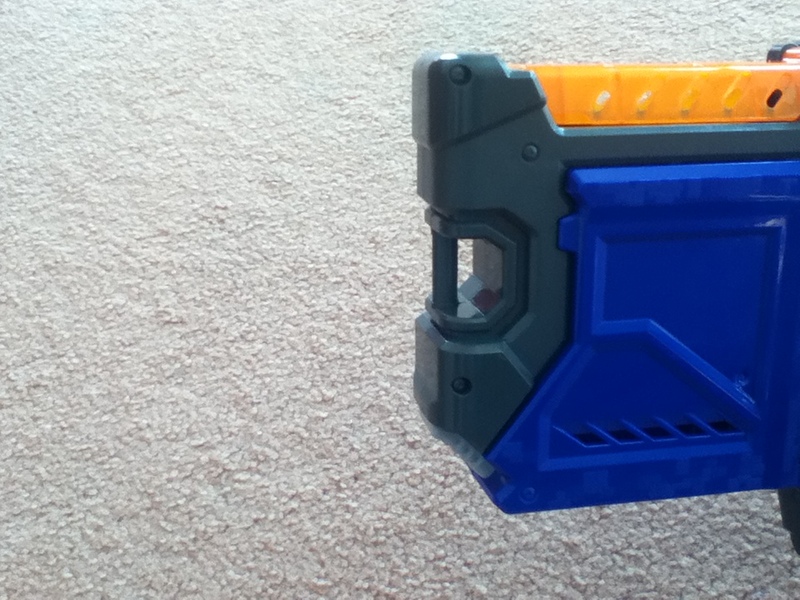 Given its slow ROF, cover is crucial to not be mowed down by fast firing blasters such as flywheelers or pump actions. 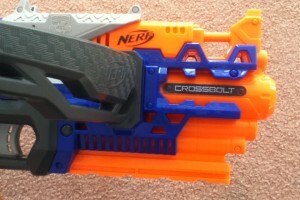 The Crossbolt retails at around 40AUD, which is not cheap. Retals can be had for 10AUD less, and offer far more value with their attachments. 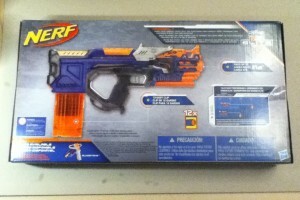 Heck a Rotofury can be had for the same price as well. 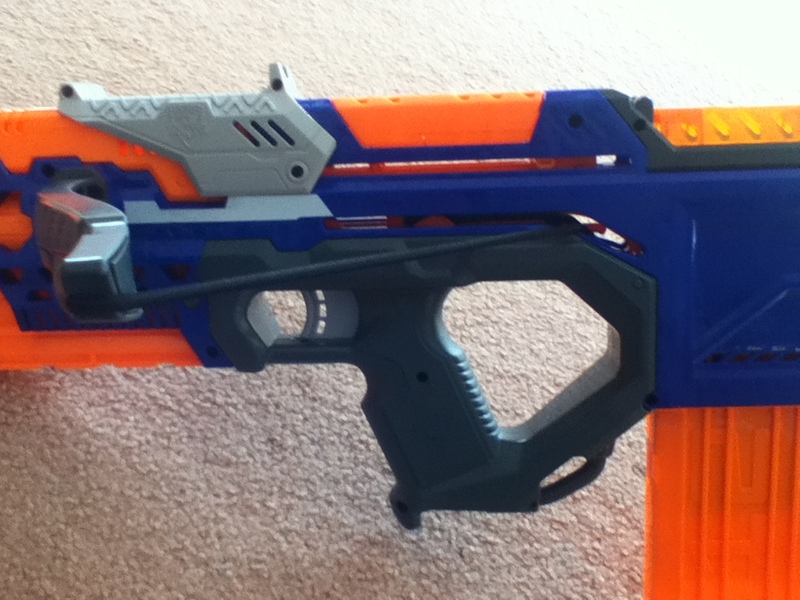 Considering its major ergonomic issues and overall pain of use, I can’t recommend the Crossbolt at full price. A discount to 30AUD is reasonable, but again, compared to a Retal there’s no argument which one I would recommend as an overall blaster. 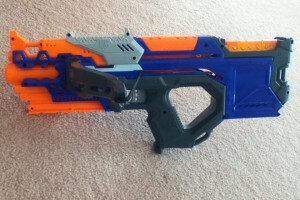 The Crossbolt is a fun blaster and does fire quite well, but not quite good enough to justify the price, awkwardness and pain. 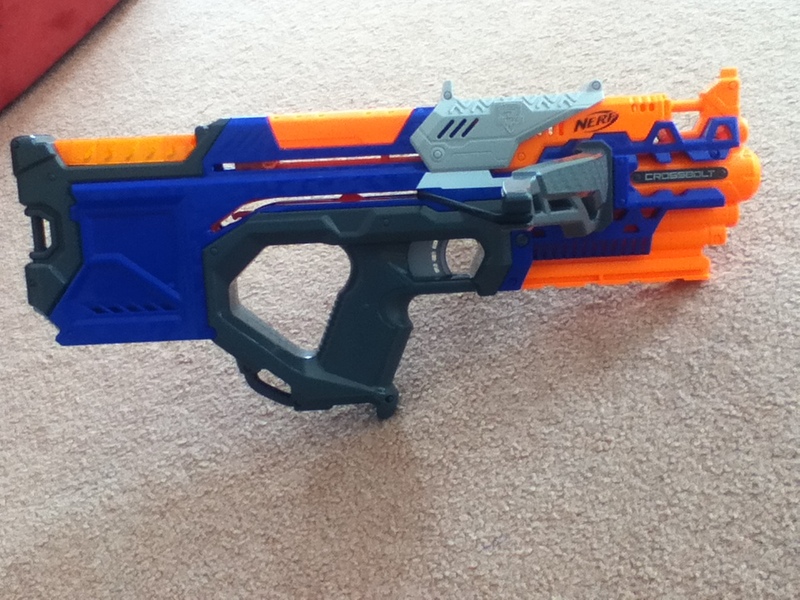 Modding the Crossbolt is quite different to more conventional blasters. More power can be obtained by simply tying off the cord more, which can be done just with a screwdriver and a few minutes. 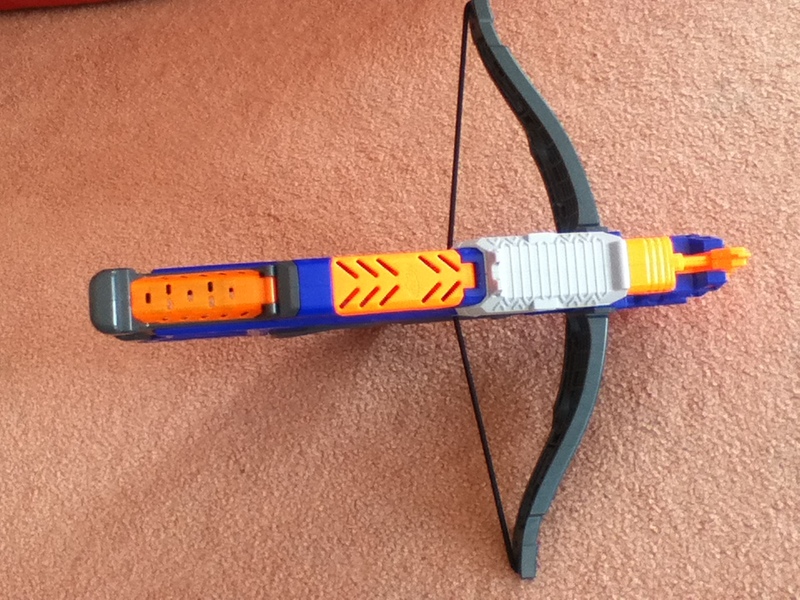 Making the bow arms removable should be done before attaching the bow arms, but can also be done with a few seconds with a rotary tool. 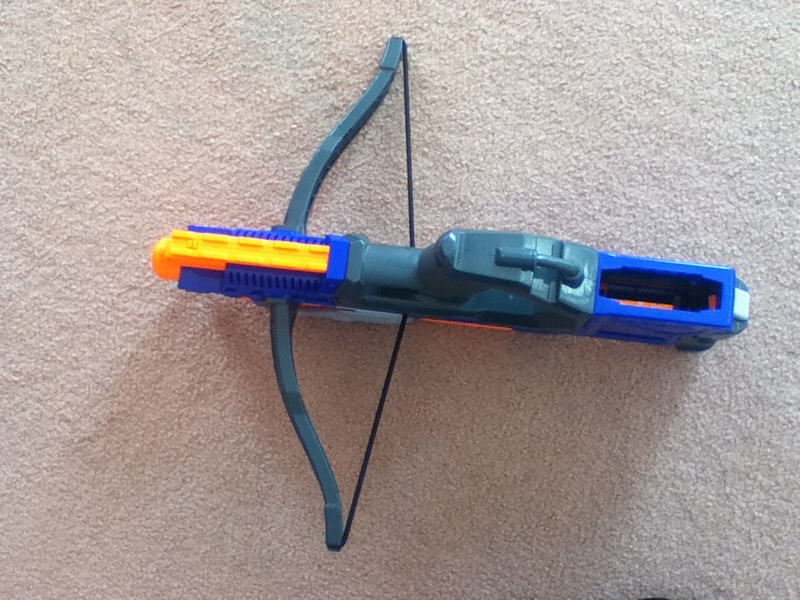 One popular Crossbolt mod is the “armless” mod, where the cord is tied off through the bow arm slots, and the bow arms removed entirely. 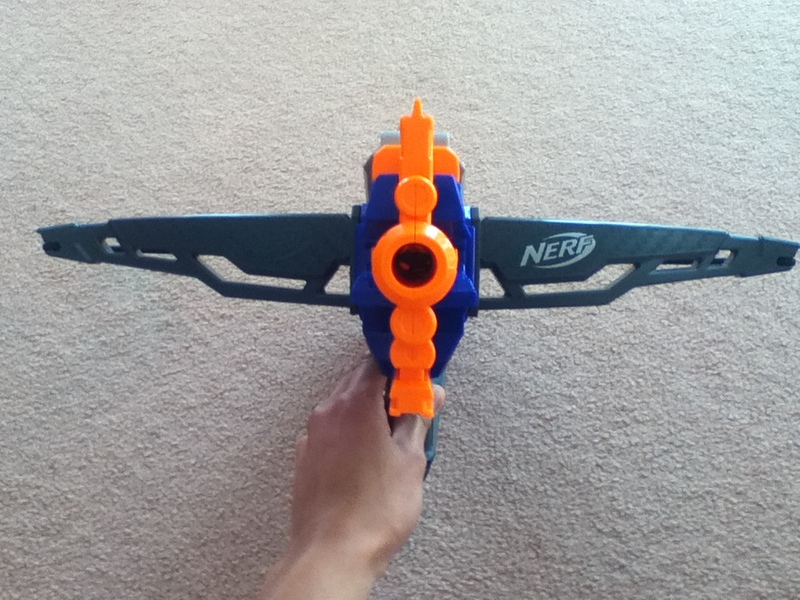 This makes it far slimmer and more compact, though I personally found issues with shot consistency and accuracy in this armless form. Though all this sounds extremely easy, there is one major problem. 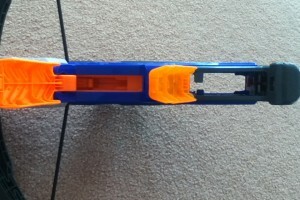 Tightening the cord too much can cause havoc with dart firing, with misfires, jams and dart shredding becoming far more frequent, and darts becoming far more erratic. 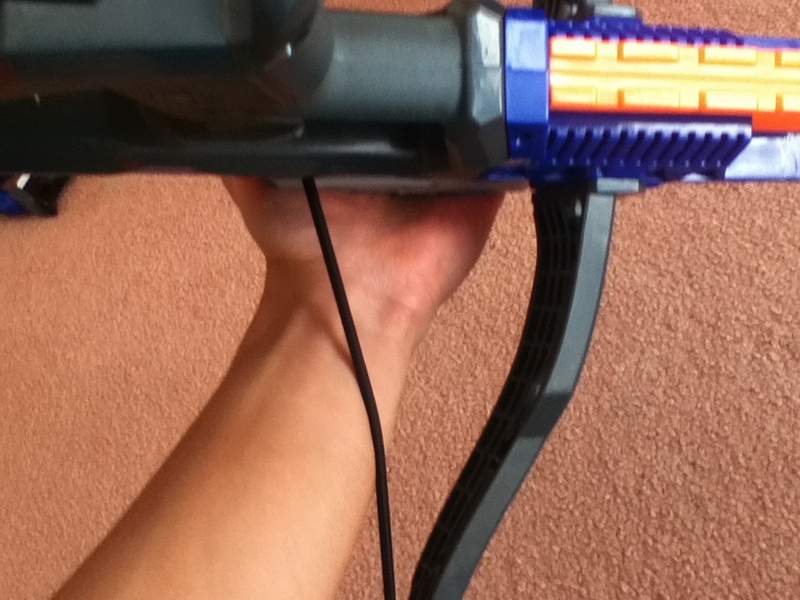 This limitation on power is somwhere around 90-100fps muzzle velocity, depending on darts, which is still more than usable in “superstock”. 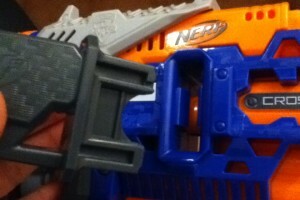 The upside perhaps of the use of a cord is that it’s easy to tune the Crossbolt to your power desires (within reason). Want a bit more power? Just tie a bit of cord off. Want a little less? Loosen the cord a little. It’s very simple and requires nothing but a screwdriver, but nevertheless could be useful. My attempt at a Crossbolt with extended stock. 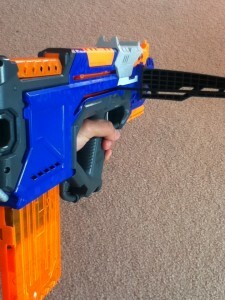 One thing that I’d recommend if you’re serious on using the Crossbolt is to extend the stock. 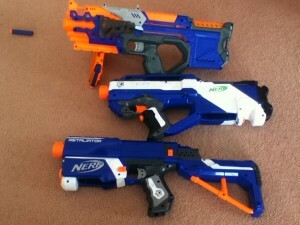 I used a Praxis stock for the above one, and it’s substantially more comfortable and usable. 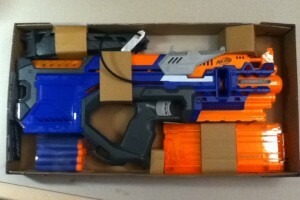 Besides tying off the cord/removing the bow arms and removing locks, there’s not that much to be done functionally. 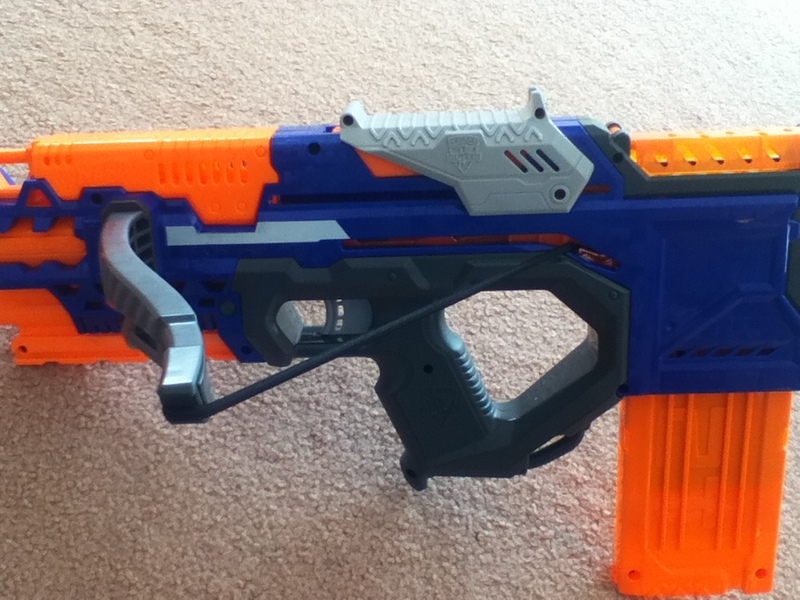 Sure you could try your hand at a pump-action mod or extend the stock, but being a stringer really limits what can be done. This entry was posted in Dart Blasters, Reviews and tagged 21m, australia, crossbolt, elite, grey trigger, nerf on March 5, 2016 by Outback Nerf.